Home Digital strategy How to assess the digital maturity of your company? How to assess the digital maturity of your company? We are sharing with you today a sample list of questions that can help you better assess the digital maturity of your company. Digital maturity: Where are you in your digital transformation journey? Do you have buy-in across the organization? Executive buy-in is extremely important, as explained in this video about the 10 pitfalls to avoid before writing an API Management RFP. Digital maturity: What are the drivers of your digital transformation? Customer demands, innovative products, regulations, new markets, etc? There are multiple drivers for your digital transformation. 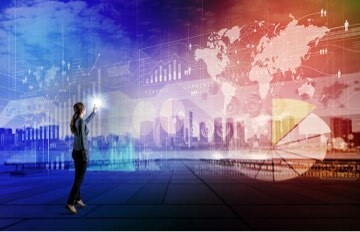 Check out this article about the race to digital transformation to determine the main drivers leading to the multiple digital initiatives existing in your company. Digital maturity: Are you ahead or behind the market in your digital transformation? There are different maturity levels when it comes to digital transformation. Check out this list of maturity stages for API adoption to define where you are along the digital business value scale. Digital maturity: Do you have a strategy to develop digital partner ecosystems to foster innovation? To success with your digital initiatives, we encourage you to adopt an API-First approach. Then, to engage with developers and grow the community, you need to have a good API Portal. Digital maturity: Is your customer experience consistent across channels? Look and feel, data, etc? Digital maturity: Do you have an API Management strategy? Do you have an API Center of Excellence? APIs are the lynchpin for digital business. There is no scalable digital strategy without a consistent API strategy. Those APIs need to be properly managed and secured with an API Management solution that covers the full API lifecycle. Digital maturity: What is your cloud strategy? What is driving that strategy? Cost, Flexibility, Delivery velocity, etc? Cloud has played an increasing role in digital transformation. It offers multiple benefits such as limited investment upfront, no need to provision nor maintain infrastructure, greater time to market, better ROI calculation, scalability up and down to fit with the traffic. Public Cloud is appealing but we also see a big rise of Hybrid Cloud to meet stringent security requirements. Digital maturity: How do you simplify integration and increase re-usability across different development groups? Code reusability is one the core principles of computer science. It goes the same with integration policies. They need to be flexible but common integration rules need to be shared for agility and lower maintenance cost. Focus on API solutions that allow re-usability across your different development teams. Another aspect of re-usability is the use of microservices or fine-grained APIs, that can be combined into coarse-grained APIs. This helps build a flexible integration between those different siloes in order to create composite services leveraging the full value of your systems and data. Digital maturity: How do you measure the usage and success of exposed services? API Analytics are key to the success of your digital initiatives, don’t fly blind. Digital maturity: What is your mobile maturity level? Do you have a Mobile CoE? Is it company wide? Mobile initiatives are probably proliferating within your organization. How do you plan to govern them and not getting swamped into additional complexity and technical siloes? Don’t wait too long before thinking of a mobile Center of Excellence to define the best architecture for your mobile app development, capitalize on existing technology and adopt a scalable mobile strategy. Digital maturity: What are the barriers to mobile app delivery? There might be multiple barriers to mobile app delivery in your company. Have a look at this article explaining the challenges and strategies for enterprise mobile apps. Digital maturity: Can you integrate with backend systems to bring data to your apps? There are so many backend systems, both on-premises and on the Cloud (Saas apps). To bring all those data to your apps, you need an API Building solution that facilitates integration with a large set of pre-built connectors and turns this data into RESTful APIs for easy consumption. Digital maturity: Are you limited with the types of apps you can build due to lack of data? This is extremely important to simplify your mobile backend integration. In order to facilitate this tedious task, don’t hesitate to invest in a good MBaaS solution that can be easily combined with your API Management solution. Digital maturity: Do business units create their own mobile apps (Shadow IT) ? Which ones? Are 3rd parties involved? Shadow IT is a real pain for CIOs. But there is no way to avoid it, as business drives this type of investment. This article explains how CIOs can take control back on shadow IT. Digital maturity: Do you have app metrics? Do you have visibility into user adoption rate? How do you decide feature release priorities? Metrics are key to understand, iterate and improve. Don’t publish to many mobile apps if you don’t have a good way to monitor their usage, performance and potential crashes. Next articleWhat is API First?